What happens in Newgrange on Winter Solstice? Today is Winter Solstice – the shortest day and longest night of the year. Newgrange in County Meath is a magical place to visit on this very special day, ANN O’REGAN reports. 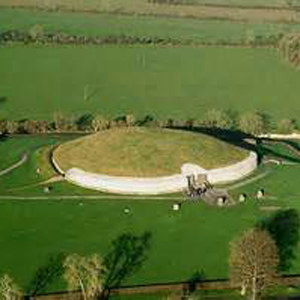 Newgrange is a historical monument that stands within the Boyne Valley in County Meath and is over 5000 years old. Older than Stonehenge and the Great Pyramids of Giza, it is classified as a Passage Tomb but is better described as an Ancient Temple. A construction of astrological, spiritual, religious and ceremonial importance, Newgrange remains as one of the world’s most significant heritage sites. The main structure is formed in a mound over one acre and has a retaining wall of some 97 kerbstones, richly decorated in Megalithic art. It is part of a series of structures built along a meandering part of the River Boyne known as the Neolithic Brú na Bóinne complex. During medieval times, Newgrange and the surrounding constructions were introduced into folklore as many believed that the ancient Kings of Tara were interred here, whilst others thought it as the home of the mythical God like beings known as Tuatha De Danann. In fact, texts from the 11th and 12th centuries give accounts of residency and clan deceit relating to the Brú na Bóinne. During this time the mounds and surrounding land had become a part of the holdings of the Cistercian Abbey of Mellifont. These farms were known as granges and by the late 1300s’ the site was known as ‘the new grange’. The 19 metre long inner passage leads to a cruciform chamber, so called because the overall layout represents a cross. Archaeological digs inside the passage have produced burnt and decayed human bone which gives credence to the belief that corpses were placed within Newgrange, some having been cremated as was customary. Artefacts including tools and jewellery were also found during excavation in a manner similar to other Neolithic Irish passage graves. Newgrange is, of course, most famous for the incredible event within the passage and chamber that takes place during the Winter Solstice. At approximately 9 am on 21st December as the sun rises, a narrow ray of light begins to penetrate an orifice above the entrance of the passage known as the roof-box. As the sun ascends over a period of some fourteen minutes, the beam of sunlight travels along the passageway, widening until it reaches the central chamber. The entire room is spectacularly illuminated, marking a significant astronomical moment in the calendar. A major feat of Neolithic engineering to welcome in a new year that has remained virtually unchanged in thousands of years. So coveted are the few spaces available to witness this historical and magical event, a lottery is held each year. Subject to weather conditions the lucky chosen few wait in anticipation in the dark hollow before spending fourteen minutes of wonder and excitement, watching as the ray of sun creeps towards the sleeping chamber. They are witnesses to a bygone age of mystery and ingenuity until Newgrange is once again plunged into darkness for another year. ANN O’REGAN is The Spooky Isles’ Ireland Correspondent. She is a writer living in the Mid-West of Ireland after spending many years in London. 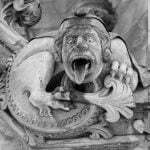 She is a paranormal enthusiast with a passion for folklore, spooky tales and the dark histories of buildings and places, which she loves to visit and explore.